Nestle makes enormous profits each year and faces no legal accountability for stealing water. Now coffee empire Starbucks has struck a multibillion dollar deal with Nestle. 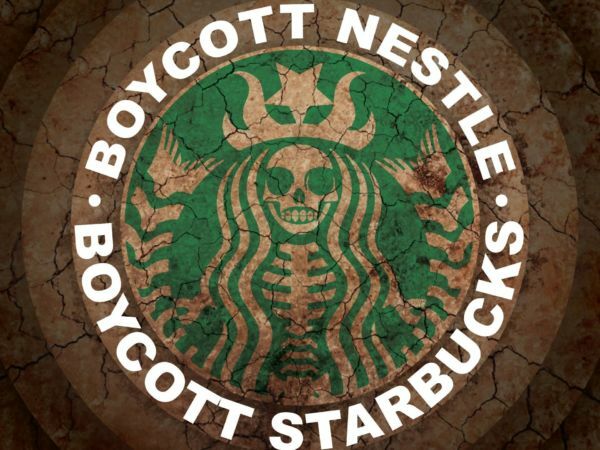 We ask you to join the movement to #BoycottStarbucks, #BoycottNestle, and boycott all of their products. Take the pledge below. Then click here to see our full list of Nestle products to avoid and alternative brands to buy!